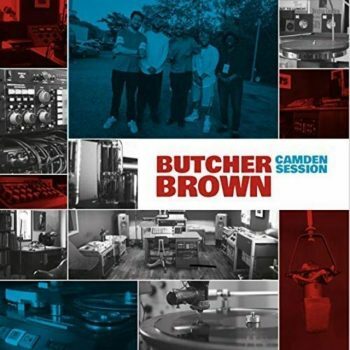 Coming close on the heels of their earnest tribute to Afrobeat great Fela Kuti, Virginia’s funk-jazz masters Butcher Brown goes back to doing its usual analog, bell bottoms thing with Camden Session. At least, if the advance title track is any indication of the rest of the album. “Camden Session” is a slow-going, bud-burning quiet storm led by Marcus Tenney’s sax that picks up the pace only a little in the chorus. Listen behind him you’ll find DJ Harrison’s electric piano, Andrew Randazzo’s bass, Morgan Burrs’ guitar and Corey Fonville’s drums entwine to make a mushy groove, and Burrs steps out front for a lengthy but chops-filled jazz guitar showcase. Echoes of Grover Washington, the Headhunters and Roy Ayers can be heard without outright aping them; Butcher Brown distills their influences into a classic sound all their own.